SINGAPORE Badminton Association (SBA) president Lee Yi Shyan believes it will take another two or three more years before the current crop of national shuttlers can deliver the goods at major tournaments. Speaking on the sidelines of the SBA Player Development Fund-Sembcorp Trailblazer-Wong Kok Siew Scholarships awards presentation ceremony yesterday, he noted that the shuttlers are in a transition phase and targets set for them have to be realistic. “Our immediate task is to get our young players to international tournaments and let them gain experience,” said Mr Lee, who is also the Minister of State for Trade and Industry, and Manpower. The Li-Ning Singapore Open next month will be an opportunity for most of the shuttlers to gain exposure. However, the Republic will not have a men’s singles representative in the main draw for the second year running. Singapore’s men have struggled for success following the retirements of stalwarts Ronald Susilo and Kendrick Lee. The likes of Ashton Chen, 20, will be hoping to feature in the qualifying round. 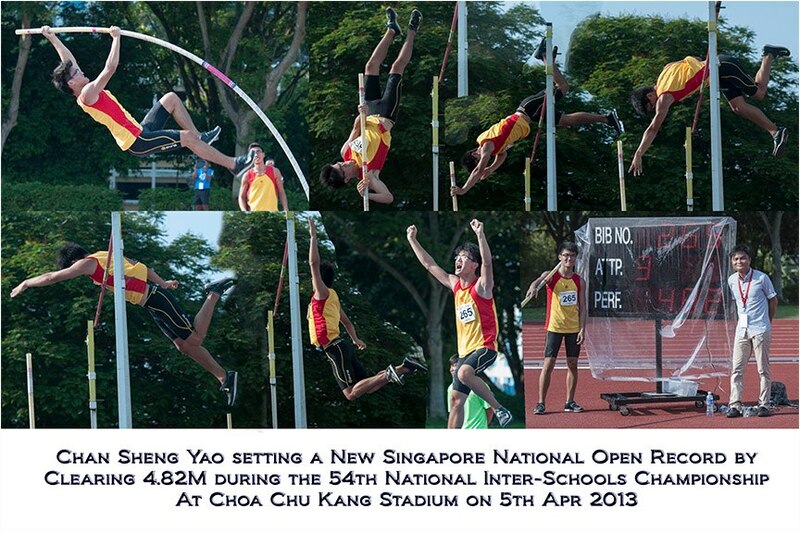 He was one of 19 award recipients at the Singapore Sports School yesterday. A total of $50,000 was disbursed in the three award categories. The awards are aimed at recognising the efforts of senior athletes by preparing them for their post-playing careers, and to motivate younger athletes by helping them further develop their badminton careers…. I can’t help feeling that the media let Mr Lee Yi Shyan, the president of the Singapore Badminton Association (SBA), too easily when they asked him about the current gap in talent in the national men’s team. Maybe it is because they were being respectful and deferential. After all, Lee is the Minister of State for Trade and Industry and Manpower. After all, you wouldn’t want to get a Minister angry and annoyed with you, would you? Yes, maybe Lee is right. It may take two to three years before the current crop of national shuttlers can deliver the goods on the international stage. Maybe it will take even longer. Or maybe they won’t be able to hack it at the highest levels in the end. But the fact that there is even this massive transitional gap between Ronald Susilo and Kendrick Lee’s retirements and this current batch of shuttlers suggests that the SBA’s talent development system has been a colossal flop. I don’t understand: how in the world did the SBA allow such a situation to happen in the first place? We shouldn’t be waiting for the next batch of national players to mature. We should be having, at the very least, a small pool of competent players waiting in the wings and capable of taking over from Susilo and Kendrick the moment they retired. What happened to the SBA’s system for developing national players? The national body can’t use the excuse that it was caught off-guard by Susilo and Kendrick’s retirements. After all, they’ve been around for so long that it was only going to be a matter of time before they stepped down. Wasn’t there any planning in anticipation of the impending retirements? Maybe there weren’t any good enough local players coming through the ranks, and from the schools in the past decade (even that sounds a bit strange as I write it, to be honest). Then, does this mean that the SBA, a strong and unashamed investor in foreign ‘talent’ for the last 15 years, also failed in finding good enough up-and-coming shuttlers from foreign shores to fill Susilo and Kendrick’s shoes? The SBA has not been able to find good-enough ‘foreign talents’. Yet the amount of investment they’d put in grooming and developing the ones they got instead convinced the local talents that it would just not be worth their while to sacrifice their youth for the sport. TODAY sports editor Leonard Thomas suggested all this in his commentary in today’s edition of the newspaper (15 May 2010), albeit more politely. “The association missed a great chance when they failed to use the success of Ronald Susilo to develop a strong base of potential talent,” he wrote (you can read his commentary here). Perhaps it’s time for the sporting authorities to ask whether it should be pouring so much public money into a sport that has delivered so little in recent years, is overly reliant on foreign imports and whose talent development system is clearly flawed.